Set on the eastern ridges of the mighty Himalaya and sandwiched between Tibet and India, Bhutan is a dream destination. 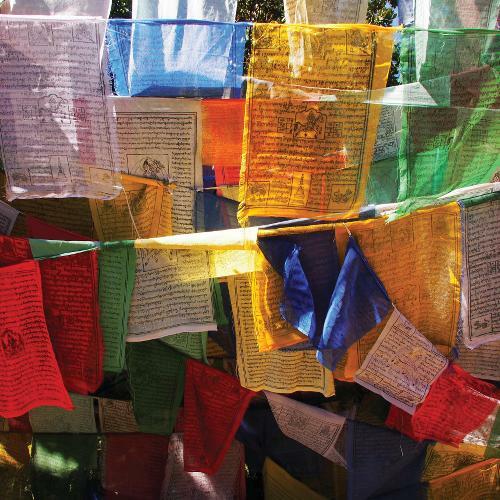 Dramatic scenery, winding mountain passes, snow-capped peaks, fluttering prayer flags and vibrant rhododendrons are the backdrop for a colourful culture steeped in religion and mythology. Here in the Land of the Thunder Dragon, you can hike through stunning valleys and across rugged high passes, visit isolated villages and explore the countless dzongs (fortresses) and tiny Buddhist monasteries that dot the landscape. Then, visit the unforgettable "Tiger's Nest", the sacred Taktsang Monastery that clings dramatically to the side of a steep, forest-studded granite cliff. Trek through the picturesque Paro Valley to the base of Chomolhari, Bhutan's second highest mountain, crossing glacial streams and observing the majestic peaks of the Himalaya through a frame of colourful rhododendron blooms. Or be one of the few people each year to join our challenging Bhutan Snowman Trek, ranked as one of the greatest treks in the Himalaya, as it weaves a path through the most remote region of Bhutan. Explore local culture and shop for beautiful textiles and handicrafts in Thimpu, Bhutan's delightful capital; take in the dancing, cheering and drama of a traditional Bhutanese archery tournament; or watch local history and mythology come alive at Bumthang's Jambay Lakhang festival. Whichever adventure you choose; you'll be captivated by the stunning landscapes, ancient culture and humble people of Bhutan. 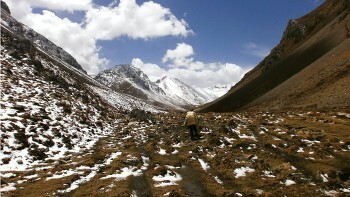 We've been organising treks and tours in Bhutan for many years and our firsthand knowledge of the region is exceptional. 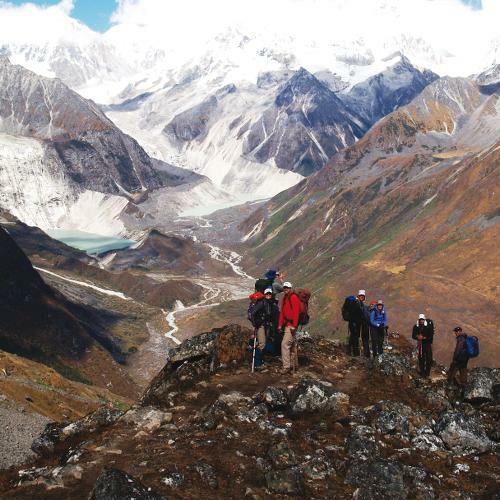 From fascinating cultural tours through the Paro Valley and Bumthang, to the challenging Snowman Trek, widely recognised as one of the most challenging in the Himalaya, we specialise in showing you the highlights of this amazing land. 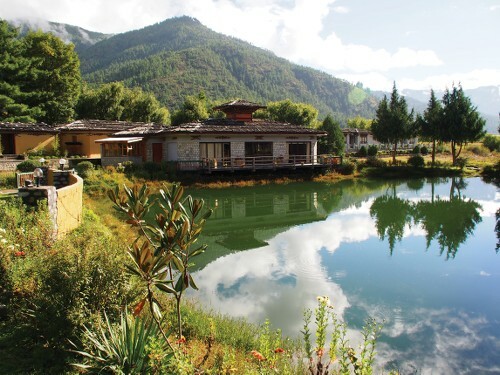 With our team of local experts, we can customise your Bhutan experience to create the perfect holiday, whether it be extending your trek or spending additional time at a beautiful Bhutanese resort. 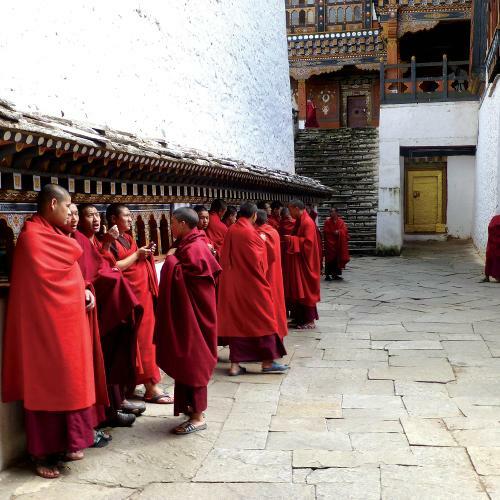 Responsible travel practice is at the heart of every program that we offer in Bhutan, where we pioneered the 10-Pieces initiative. When you book one of our adventures you're supporting a program that is committed to safety and sustainability. Jo has been exploring the hills since she was a teenager. 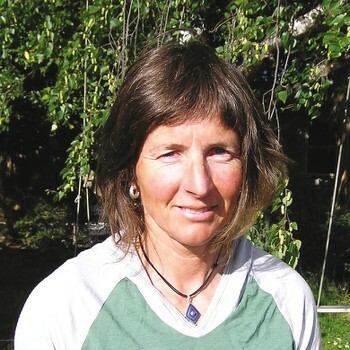 As well as over 20 years adventuring in the New Zealand Southern Alps and climbing many of NZ's peaks, she has been fortunate to have spent considerable time in the Himalaya, on the rock walls in Australia and the USA and studying Emperor Penguins in Antarctica. 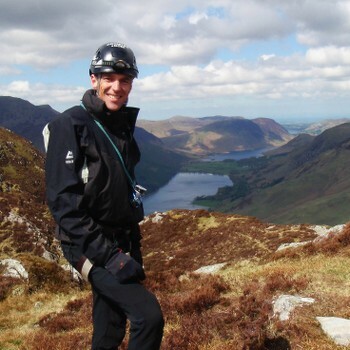 Jo leads is a well respected, inspirational leader. 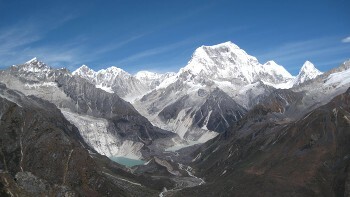 Bhutan has an extremely diverse climate profile for a country of its size, owing to both its highly varied altitude and the influence of the north Indian monsoons. The country can be divided into three broad physiographic zones: the cold alpine peaks and tundra of the Great Himalayas to the north; the temperate mountain valleys of Lesser Himalayas region in central Bhutan; and the subtropical foothills and floodplains of the Duars Plain in the south. 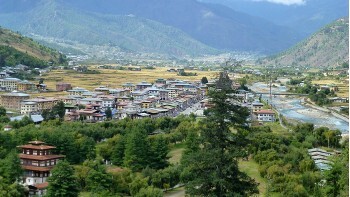 The capital of Thimphu, in central-west Bhutan, is the only place in Bhutan to experience temperature conditions. Winter temperatures in Thimphu usually range between 2°C (35°F) and 12°C (53°F) in January. In July, summer temperatures range from 13°C (55°F) to 19°C (66°F). The north of the country experiences extreme cold and generally dry conditions, and the south, extreme heat and significant rainfall. Bhutan, like eastern Nepal, comes under the influence of the Indian monsoon from late May to mid-September and Bhutan receives more rain during the monsoon than other Himalayan regions (up to 5.5 metres a year). The ideal time to visit Bhutan is either pre-monsoon from mid-March when the winter snow has begun to melt off the high passes, until the end of May; or post-monsoon, from October to mid-November. Temperatures can vary considerably depending on your elevation but as a guideline, temperatures in Thimphu in April/May and October range from around 5°C (41°F) to around 25°C (77°F). 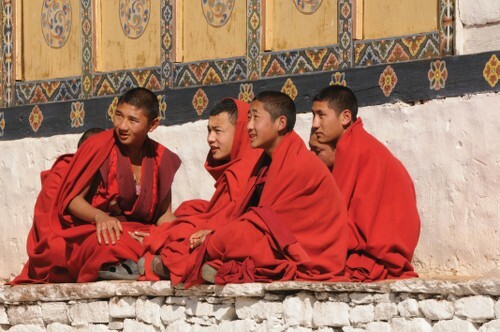 Dzongkha (official); Sharchhopka; Lhotshamkha; Nepali and English widely spoken in more populated areas; 1% of population make up a variety of different ethnic groups each with own languages. US DOLLARS in cash is the main currency of exchange for tourists in Bhutan, with the AUD also as widely accepted, and internationally recognised credit card if you intend to shop. For basic purchases eg drinks, snacks and small items US or AU cash will meet your needs in Bhutan. Smaller denominations of clean, unmarked notes should be carried with you for ease of exchange. Other currencies will be very difficult to change and perhaps impossible. There are now some ATM’s in Bhutan however, these are not reliable, and often for the use of locals only. 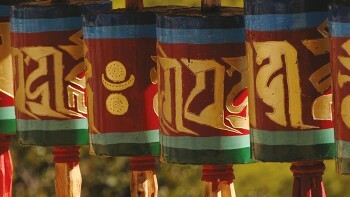 Ngulstrum cannot be changed back when you depart nor used outside of Bhutan, so keep this in mind in your calculations. Electricity in Bhutan is 230 Volts, at 50 hertz. The pin type varies but is most commonly types C, D and G. We recommend taking a universal adapter. Electricity is widely available throughout Bhutan though generally speaking the further you venture from the trailhead the less reliable it becomes. More populous areas are serviced by the grid or small scale hydro-electric projects. In more remote areas solar energy is harnessed for electricity production and as such can be unreliable and in short supply. When camping there is often no facility for charging of electronic devices we recommend you consider purchasing portable power banks or solar chargers for phone charging and at least one spare camera battery. 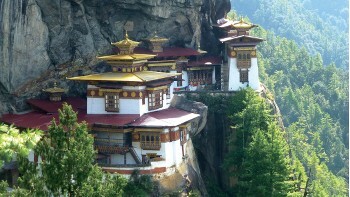 The cost of your Bhutan visa is included in your trip cost. The visa process for Bhutan requires you to provide us with a scanned colour copy of your passport as we require your full passport details (full name as it appears in your passport, nationality, date of birth, passport number, date of issue and expiry date, and occupation) at least 30 days before your arrival in Bhutan. Following the processing of your visa clearance we will provide you with a clearance number to enable you to board the plane from your respective airport; you will then receive a stamped visa upon arrival at Paro airport. You must carry the visa approval letter with you and you will be required to show this when checking in for your DRUK flight into Paro. NOTE:- Please be aware that it is very usual that we do not receive visa clearance numbers from the Bhutanese government until the week of travel, sometimes 2 or 3 days before departure date. If you have already left on your travels prior to receiving the visa clearance number, then the visa number will be emailed to you shortly before departure date. Please ensure that we have your correct and up-to-date email and contact details. If you are doing more than one tour in Bhutan you may be required to extend your visa, this will be done for you while you are in Bhutan.